Professor Vernon is a consultant medical oncologist and clinical director at Auckland Hospital, and clinical associate professor at the Department of Pathology at the University of Auckland Medical School. 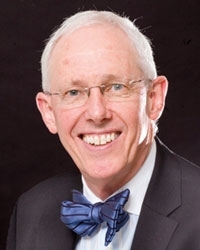 Up until 1991 he was the president of the New Zealand Society for Oncology, and he has also been the chairman of the New Zealand Clinical Oncology Group. He was made an Officer of the New Zealand Order of Merit (ONZM) for services to Medicine, particularly Oncology Research in the 2010 New Years Honours. “I was Louise’s oncologist and was so impressed by her contagious zest for life. She recognised how important “little treats” were for overall well-being. Sweet Louise aims to make that possible for every women with secondary breast cancer – to give them moments of joy they might otherwise not have had”.